Design education has come under fire. Its value and validity are in question—and rightly so. The design industry is going through seismic shifts and universities don’t seem to be pulling their weight. But as designers are apt to do, shifting a perspective can reveal great insights. Thoughts on education are often impassioned. In response to common accusations about the failings of universities—in particular, the ones in this article by design blog editor Micah Bowers—we will explore another side to those arguments: Tuition costs are admittedly high, but how should the ROI actually be quantified? Soft skills are a point of contention, but what is the best format to develop these skills? And lastly, the requirements of real-world jobs are not at the forefront of a curriculum, but is that such a bad thing? Instead of seeing the importance of design education in terms of job preparedness for a recent grad, we will consider how a degree can build a foundation for innovation, impact, and ambition. Education’s role is planting the seeds for greatness. The term “design education” can mean many things, but in this instance, it refers to a bachelor’s degree program. The term “design” is even more ambiguous, but here it relates to the broad range of disciplines loosely related to graphic, communication, and UX design. It should be said that a degree isn’t a golden ticket and design school is not for everyone. There are many paths to kickstarting a career in design through education organizations like General Assembly, Springboard, and Red Academy; online resources like Design Better and Skillshare, or the classic school of life. In respect to these alternatives, we will not address them here. Students at Parsons' The New School in New York City. Med schools have it easy: teach students biological facts and procedures in preparation for passing a series of exams. The course of learning is relatively linear and straightforward. Defining the course of design education, on the other hand, is like knitting fog. Every school has its own approach and every designer follows a different path. Access to resources: Resources like letterpress facilities, computer programs, visiting lecturers, and photography studios are often free for students. Access to these come at a high price without a student pass. Professional mentorship: Professional designers who set client briefs for students, visit as a guest lecturer, and teach as professors are voluntarily at a university to make students better designers—a generous resource that isn’t instantly available to a new designer in the industry. Creative community and colleagues: By no means is school the only place to make friends in the industry, but the shared experiences and growth while studying can build long-lasting—and fruitful—relationships among peers. Immunity to real-world restrictions: A foundation to a designer’s mindset shouldn’t begin with restrictions. Design school is a time and space where client whims don’t derail ideas and budgets don’t hinder creativity. The title of “student”: Professionals are generally more willing to guide or share wisdom with a ‘student’ than a fellow professional. Additionally, external opportunities and contests have always been available exclusively to enrolled students. The title of student and a university email address is a key for special access. 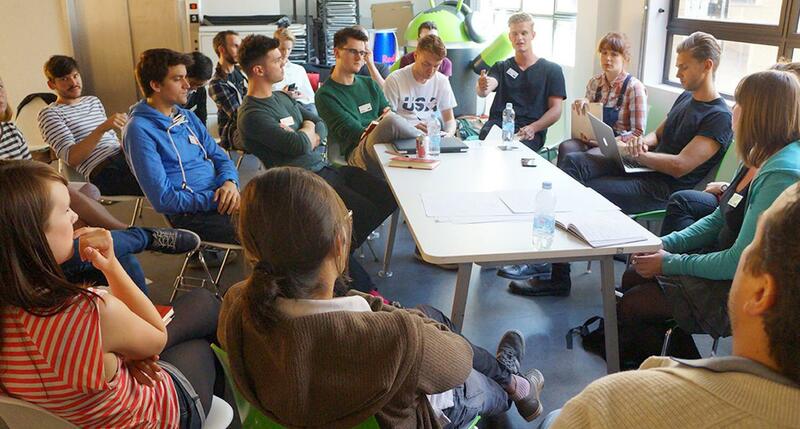 A selection of graduating students gather at the D&AD New Blood Academy in London. In his TED Talk, Eduardo Briceño lamented over how much time professionals spend delivering to the best of their ability. He calls this state of work the Performance Zone, when the focus is on the thing that has already been mastered. It takes place in high-stakes environments with an intolerance for failure and a constant pressure to deliver. As efficient as this is to a business, tuition buys an alternative—copious time in the Learning Zone. Students are given the time and space to experiment, fail, and define their personal practice and agency. It’s a rare opportunity to learn without being encumbered by the repercussions so prevalent in the real world. As part of Stanford University's Design for Extreme Affordability, design students ideate and prototype solutions for the world's poorest citizens. To be fair, what design education provides isn’t completely non-existent elsewhere—Google-inspired innovation hubs invoke the 20 Percent Rule and the Sagmeisters of the world take year-long sabbaticals to rejuvenate creativity. However, the majority of designers will begin a career restricted to client deadlines and production requirements. The luxury of freedom in formal education is invaluable. It’s difficult to equate the freedom to learn with the cost of tuition. But by providing a space for eager minds to grow, a university can cultivate innovation and exploration worth the high cost. However, these institutions must rigorously advance their facilities and iterate course structures to support this vision. It’s then up to the students to be selective and demand what it is they need to learn in order to reach their goals. Design institutions are often accused of coddling students and setting unrealistic expectations of the real world—and those arguments aren’t baseless. Reports draw attention to the growing lack of these skills in graduates across the board. Those who are adept in areas such as critical thinking, emotional intelligence, and collaboration will fare better upon entering the workforce. But who should be responsible for these skills? Instead of pointing a finger at the professor, consider an introspective angle. 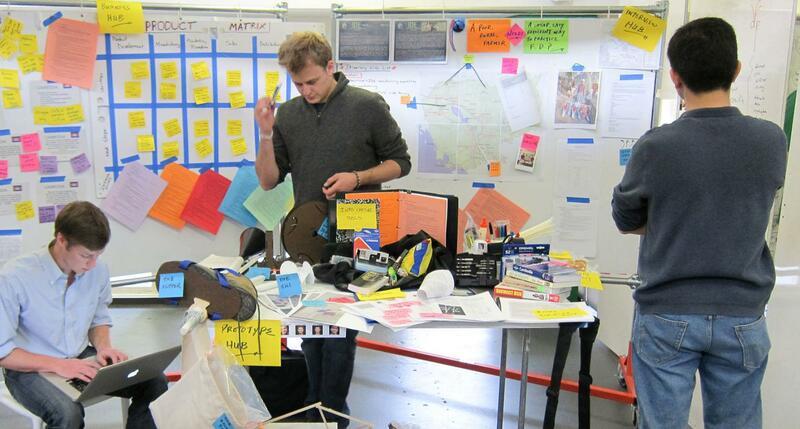 Central Saint Martins students gather around a selection of artifacts, where they analyze, observe, and collaborate. Soft skills are inherently connected to personality and disposition. For instance, conscientiousness and agreeableness (two of the Big Five personality traits) directly relate to time management and the ability to work well with others, respectively. 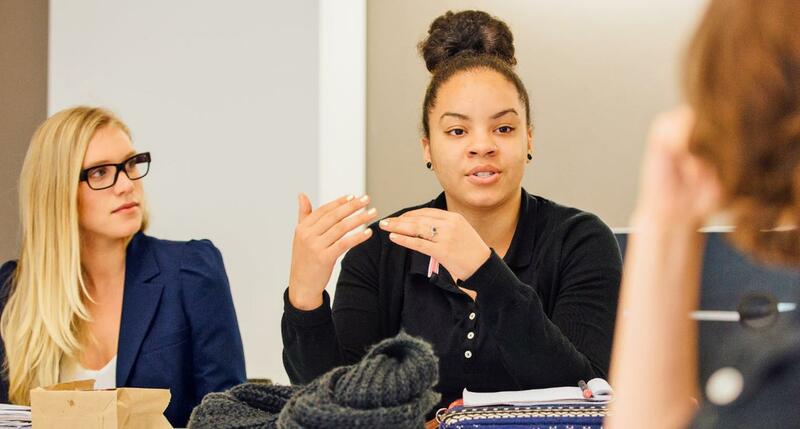 A student will develop soft skills according to their unique personality—they simply need the opportunities and support to do so. The importance of design education is, therefore, in providing a framework for students to practice soft skills. Design critiques, student presentations, team projects, and deadlines are all opportunities for a student to improve their skills. They occur in safe spaces where fumbled words, clashing personalities, and delicate egos are expected. Universities are responsible for the collection of frameworks that set the stage for development. But the ultimate responsibility is on the student. Soft skills require constant, personalized learning and self-motivation. Design education is best positioned to facilitate and cultivate those ambitions. University students are given a platform to work collaboratively and practice soft skills. Skipping school and going straight into industry won’t guarantee a crash course in soft skills—some agencies don’t allow young designers to present work and many have poor internal communications. Universities already have an established platform to practice soft skills, but it’s clear these efforts need to be amplified. They should include more resources, such as honest feedback sessions, one-on-one discussions, and structured reflection. However, this approach only works if students are committed to putting in the work themselves. This is not the time for hand-holding and those who realize that early on are the ones who will learn the most. What you get out is what you put in. Hiring managers are finding it more and more difficult to trust a resume with a four-year degree when recent grads show up to their first job with more learning to do. However, while universities may be falling short in program know-how, a design curriculum based on expectations of the real world is like a curriculum based on standardized tests. The role of the designer is no longer a supporting role—it is one that leads. This mindset is alive and well in future-facing companies. Airbnb was founded by a duo of designers who disrupted an entire industry. Indra Nooyi, the former CEO of Pepsico, worked directly with her director of design to make business decisions. And McKinsey released a report that expertly illustrates the business value of design. The near future of design will be unrecognizable from its origins. 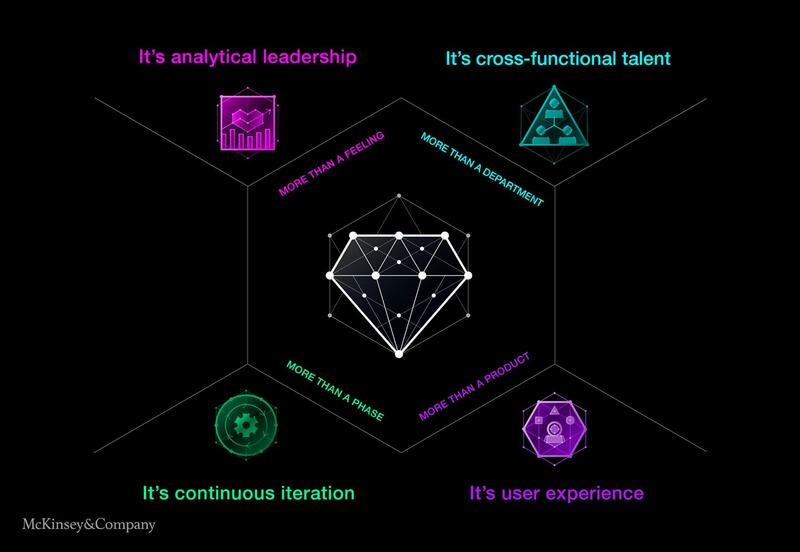 McKinsey's robust report about the value of design in business points to a future where creative thinkers are integrated across all organizations. The role of designers is becoming more coveted and consequently, more interdisciplinary. Designers are finding themselves in roles within unexpected industries, solving wicked problems that affect global businesses and societies. Don Norman, the father of UX, believes that “to deal with today’s large, complex problems, design education needs to change to include multiple disciplines, technology, art, the social sciences, politics, and business.” Even the young, focused UX education courses should expand their reach. Norman also adds, “design is not about interacting with a computer; it’s about interacting with the world.” In the same vein, IDEO coined the term T-shaped designer, which is a person who has deep knowledge about a single expertise but understands general ideas across a broad range of topics. When innovative jobs for designers require an interdisciplinary approach, why restrict a student’s knowledge to the elements and principles of design? 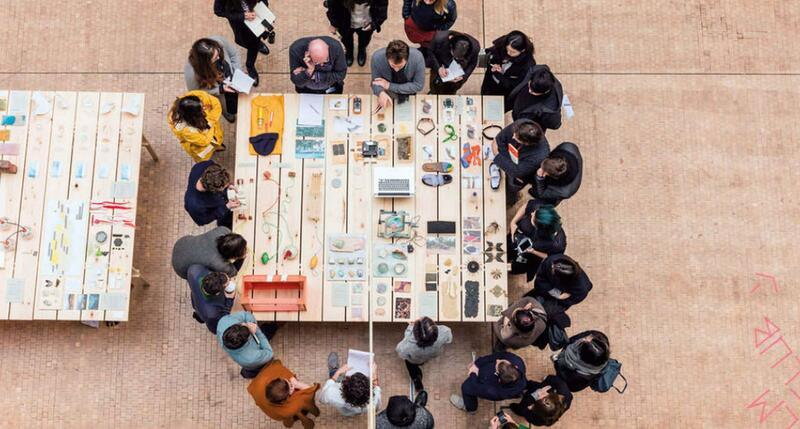 The Royal College of Art, a world-renowned design university in London, has recently announced its reimagined curriculum—one that spans far beyond design as a discipline. Design students will be immersed in other areas of study, such as environmental architecture and nanotechnology. “The world is too complex and interconnected for designers to not be versed in a variety of disciplines.” Suddenly, that Anthropology of Microeconomics class from a liberal arts college is a lot more relevant. 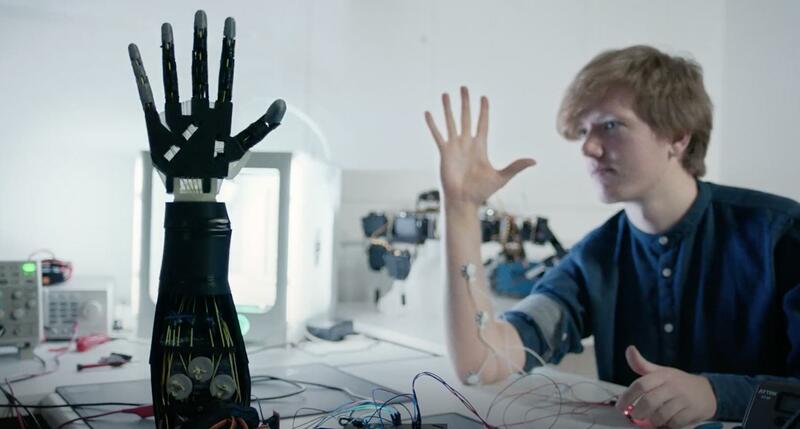 A student at The Royal College of Art experiments with robotics and design. If the past is any indication, today’s computer programs will soon be outdated and familiar design processes will be reimagined. Businesses and teams need to prepare. Harvard Business Review notes that companies at the forefront “like Google, Amazon, and Microsoft, have highlighted the importance of learnability—being curious and having a hungry mind—as a key indicator of career potential.” A school of the future that teaches students to be resourceful, critical, and observant is delivering long-lasting value. This approach to education is already happening around the world. Primary school students at King’s Cross Academy in London learn through posing questions and finding answers both independently and collectively. Many Silicon Valley tech leaders send their kids to the Waldorf School of the Peninsula where “certain maths principles are taught through knitting, languages are practiced during games, and storytelling plays a central role.” The ability to adapt to any challenge is already being instilled in younger generations. A university that claims their graduating students will be fully prepared to work on a professional design team should spark skepticism. Every company and team operates differently. Universities should not be teaching students to prioritize existing constructs but to challenge the status quo and lead the industry into the future. They should provide a place to learn how to observe, think critically, and solve problems creatively. When it comes to real-world skills, a design school isn’t out of date, it is timeless. As the design industry works through its growing pains, the importance of design education is greater than ever. Design school graduates will contribute to the perception of what designers are capable of. Certain innovative companies have recognized the treasure trove of creativity in universities that is unjaded by industry restrictions. Design students may be relatively inexperienced—even naive—but is seen as a strength, not a weakness. Businesses and organizations are turning to design universities to be led into uncharted territory. 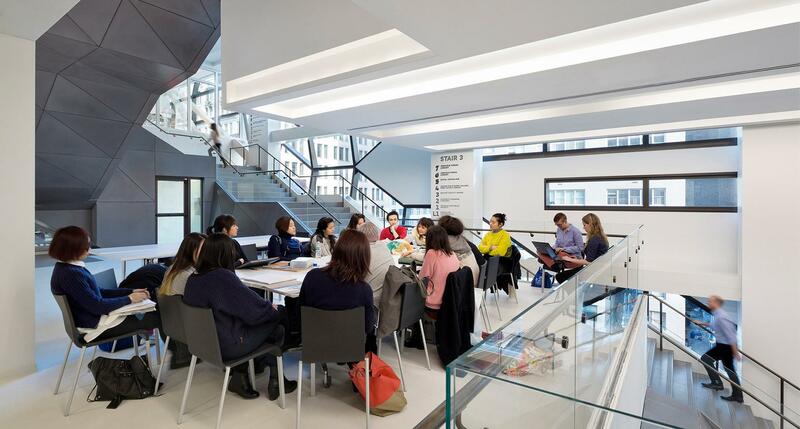 Citi Ventures partners with design universities to ask students big questions, such as, “What is the future of remote working?” A local government in London partnered with Central Saint Martins to use research and user-centered design to reimagine poorly-funded public services. Design education isn’t broken, we simply need to adjust what we expect from it. Instead of ushering students seamlessly into current constructs, it should cultivate great thinkers who will shape the future of design. A universal standard for graphic designer education requirements does not exist. Some designers attend formal universities, others take shorter certification courses, and some are self-taught. Each various role a designer can fill determines the type of education required. The role of a UX designer is complex and often overlaps with tangential roles. Ultimately, it’s necessary to have research skills, understand common workflows, and know how to collaborate with developers and visual designers. UX education can be done in various ways but is important in getting a job. There are many definitions to “design education.” Formally, it refers to a bachelor’s or master’s degree program. Alternatives include certifications from education organizations like General Assembly and Springboard or self-taught efforts with online resources like Design Better and Skillshare.